The 21-year-old Pant took a splendid catch to dismiss Uthappa (28) off Rabada's bowling during match 26 of IPL 2019 between KKR and DC at Edens. 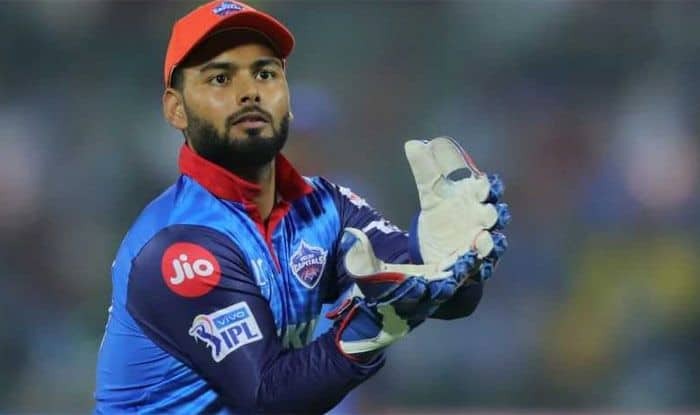 IPL 2019, Kolkata Knight Riders vs Delhi Capitals Match 26: Known for his batting pyrotechnics and incredible hitting prowess, Rishabh Pant has made a name for himself, particularly in the limited-overs format of the game. However, there is still a big question mark when it comes to Pant’s wicketkeeping skills which are yet a work in progress. But, the young dynamo from Roorkee gave ample evidence of his fine glovework on Friday during the match 26 of IPL 2019 between Kolkata Knight Riders and Delhi Capitals. During the 9th over of Kolkata’s innings, Pant took a stunning catch to dismiss experienced Robin Uthappa (28) off Kagiso Rabada’s bowling. Rabada followed the slower yorker with a fiery bouncer – short and angling down the leg-side, Uthappa was looking to help it on its way – all that he managed was a glove. The ball was travelling, but the 21-year old Pant tumbled to his left, leapt high and completed a fine catch. KKR, meanwhile, made three changes with openers Sunil Narine, Chris Lynn and Harry Gurney making way for Joe Denly, Carlos Brathwaite and Lockie Ferguson. KKR lost to Chennai Super Kings in their last outing.